"Dezso Ban, 83, passed away on Oct. 24, 2013, at Pocono Medical Center in East Stroudsburg. He was born in Budapest, Hungary, on May 10, 1930, son of the late Mihaly and Julia Banlaki. Dezso was the loving husband of Susan (Alcorn) Ban. They celebrated their 15th wedding anniversary on May 11, 2013. 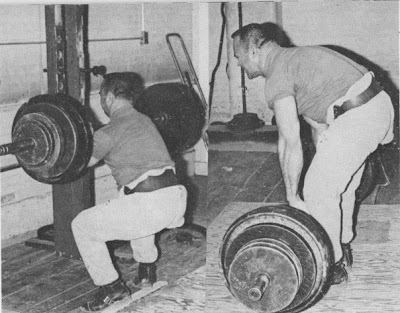 Dezso served in two armies in Hungary, worked as a butcher, and most important to him, became an elite Olympic weight lifter before emigrating to the U.S. in 1956. He received his bachelor's degree in physics from Seton Hall University in 1978, and his master's degree in physics from Fairleigh Dickinson University in 1983. He had an extensive reading interest in linguistics, mathematics and physics, and his love of weight lifting persisted throughout his life. He had worked in the research laboratories at Exxon Research and Engineering in Linden and Clinton, N.J., for more than 26 years until retiring in 1996. We have been blessed with the presence of Dezso in our lives. He will be deeply missed by his loving wife , Susan, of Kunkletown; stepdaughter, Amanda DeMontigny and husband, Thomas, of Whitman, Mass. ; sister, Julia Szakos of Hungary; stepgrandson, Forrest J. Harrison of Providence, R.I.; and godson, Anthony Ditillo and wife, Elaina, of Summit, N.J."